With Cove InstaText, you are able to be notified and respond 10x faster than other providers. 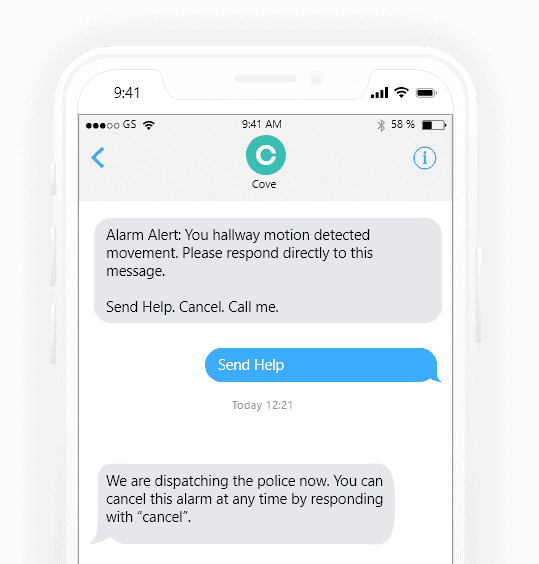 Get immediate notifications and respond to emergencies and security alarms right from your text messages. Try Cove with a 60 day money-back guarantee. If you don't like it as much as your children, send it back for a full refund.